The Heat Networks (Metering and Billing) Regulations 2014 came into force on 18th December 2014 under the EU Energy Efficiency Directive. 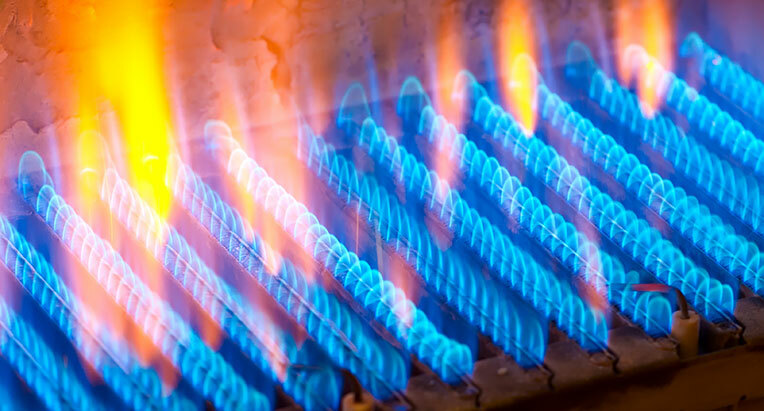 It affects all businesses within the UK that supply and charge for heating, cooling or hot water to a final customer through communal heating or a district heating network (heat suppliers) including multi tenanted buildings with a shared heating and cooling system. 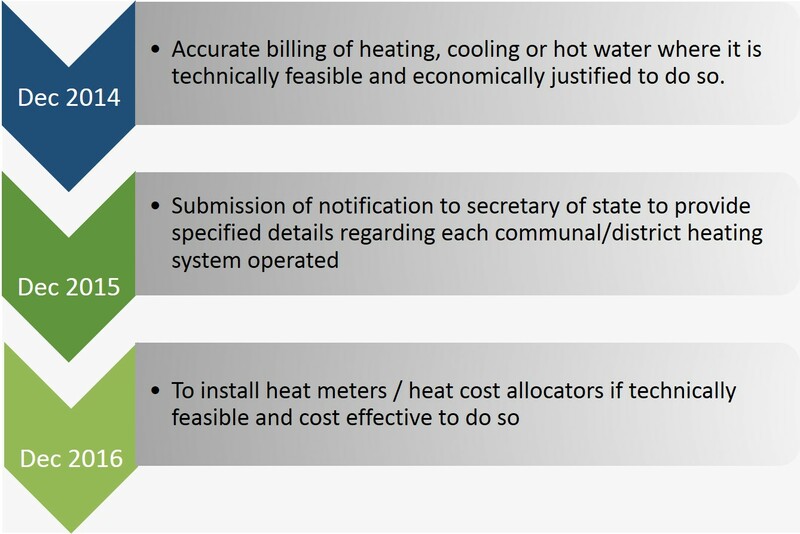 Subject to meters or heat cost allocators being determined as viable for installation, and being installed, the heat supplier must ensure that the bills and billing information for the consumption of heating, cooling and hot water are accurate, based on actual consumption and compliant with the regulations. This legislation is currently under review. Further announcements are due toward the end of 2017 – the compliance requirement for December 2016 outlined below, whilst still remaining in legislation, clearly cannot be enforced. However, if heat meters are installed, the requirement to maintain and use these to recharge remains. There is no further update on when the feasibility tool will be available – it is simply a case of ‘watch this space’ until such time as further announcements are made.